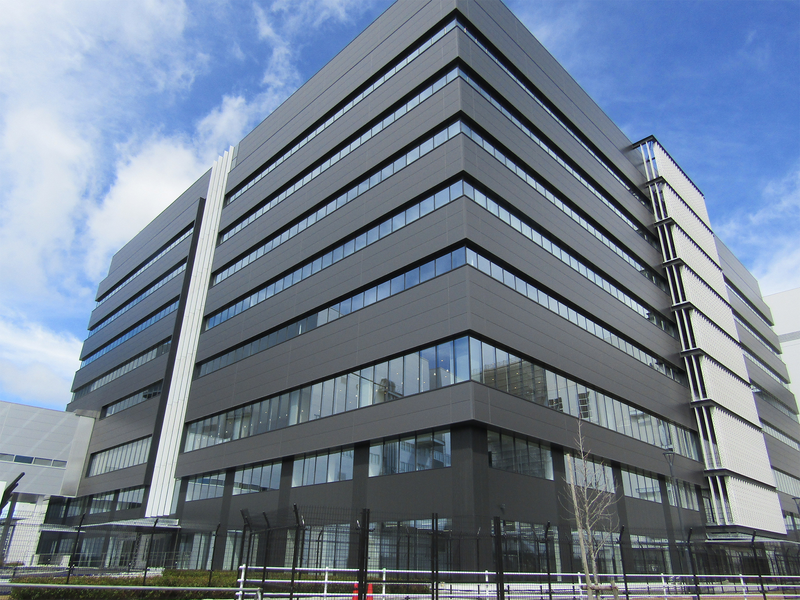 Toshiba Memory and Western Digital on Wednesday officially opened up their new Fab 6 and Memory R&D Center. 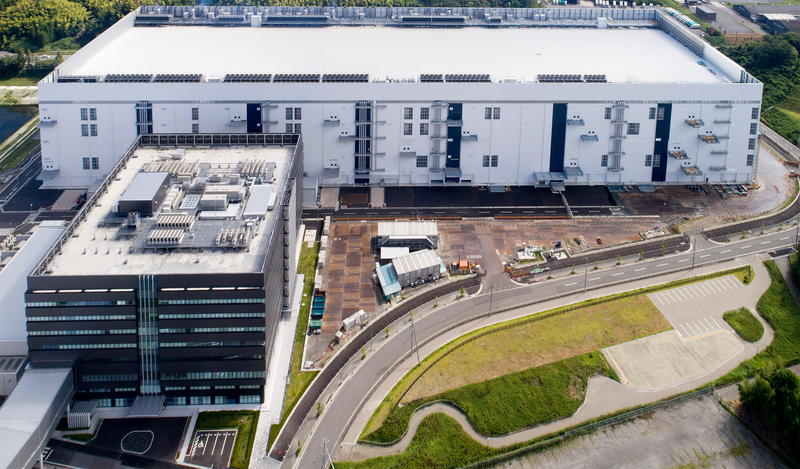 Both facilities are located at their Yokkaichi operations site that now hosts three major NAND flash production fabs and produces a significant share of the global NAND memory output. The new Fab 6 is already operational, a bit ahead of the original plan. Toshiba started construction of the Fab 6 in February 2017, and completed the building several months ago, then started to move in deposition and etching equipment required to produce 3D NAND memory. 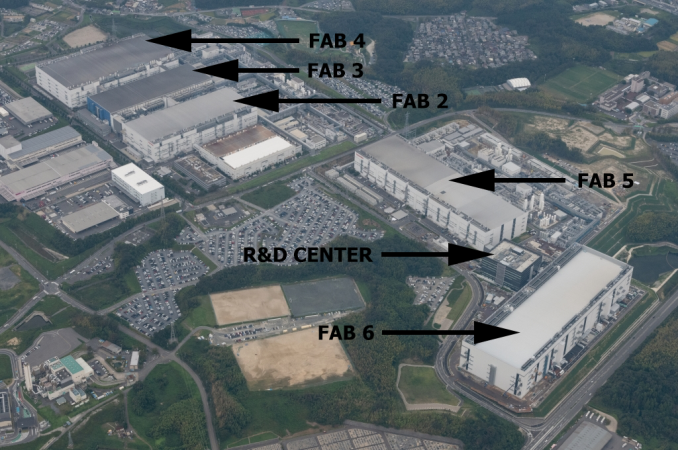 Earlier this month Toshiba and Western Digital started to mass produce their jointly-developed 96-layer 3D NAND memory at the fab, though it is likely that the two companies are still installing tools that will be needed to ramp up the fab to its planned capacity. Fab 6 will be the third production facility making 3D NAND memory for Toshiba and Western Digital. So far, the two companies have produced 3D NAND at Fab 2 and Fab 5. Meanwhile, Fab 3 and Fab 4 are used to make other kinds of products. 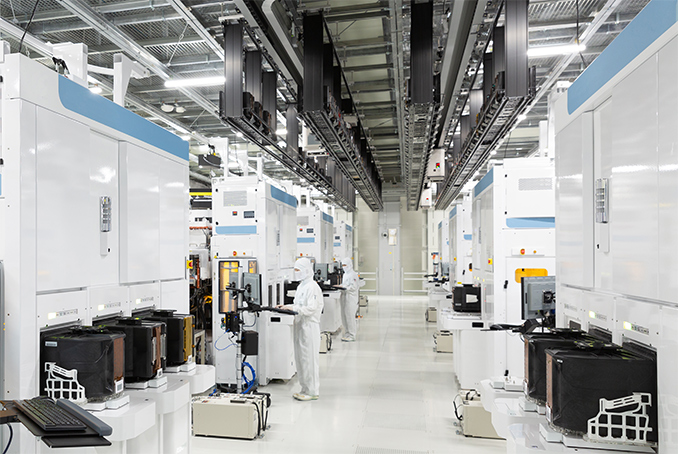 Toshiba and Western Digital do not disclose target production capacity of their Fab 6 in terms of wafer starts per month, yet judging by its dimensions from above, it should be on par with other fabs at the Yokkaichi operations in terms of cleanroom area. Meanwhile, since Fab 6 will use the latest and most advanced equipment, its NAND flash bit output will be higher when compared to other fabs once the fab is fully ramped. At the same time, like all makers of memory, Toshiba and Western Digital balance their output in accordance with market demand so not to overproduce and ruin pricing. In addition to their Fab 6 production facility, the two companies also officially opened their new joint Memory R&D Center located adjacent to the new factory. As the name implies, the center will be used for joint research and development activities by Toshiba and Western Digital. In fact, this facility has been working since March, so it is safe to say that it is fully operational now. Furthermore, establishment of a joint R&D center indicates that the two companies will continue to jointly develop and produce memory products. You are funny: "Fab 3 and Fab 4 are used to make other kinds of products"
think the same thing, what easier way to directly influence pricing if they can do behind closed doors meetings because they both operate behind those doors. What, there are companies making things for $1 and selling them for $100-$300-$500+. Sounds amazing, that like a 99%+ gross margin, where do I buy shares? First of all, it’s not true. Second of all, it’s more complicated than that. Manufacturers of equipment that use memory need to certify that memory, because it’s part of their product. Back in 1998, when I bought an expensive 12 x 18 color laser printer for Hp, I wanted to buy more memory. I called Hp. They were selling a 16MB stick fo $660, while I could buy it somewhere else for half that. I asked why. I was to,d that because it was part of their product, they needed to test the sticks and certify them, because companies wanted to buy the whole thing at once, and not buy memory separately. Then there was the problem of removing memory that wasn’t from Hp when doing a repair. Manufacturers of smartphones, etc. have the same problem. They need to make certain the memory meets their specs, so that people don’t complain about performance. That extra testing costs money. In addition, the final price of a product, according to standard manufacturing accounting procedures is between 2.5 and 3.5 times the price of the parts.